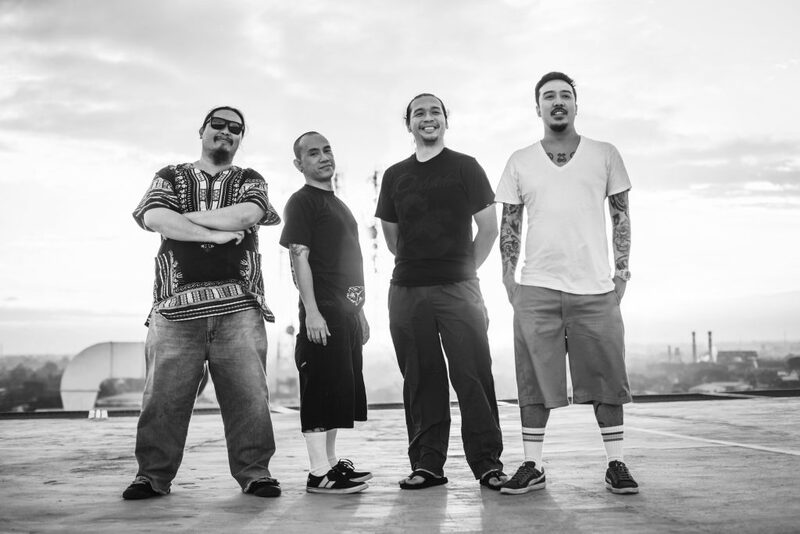 After nearly two decades of being among the top concert draws and one of the most intense live performers of the Philippine music scene, the evolution of local metal outfit GREYHOUNDZ is still very much underway, and clearly nothing – NOTHING – will be able to stand in its way. Coming-out during an era when musical trends reigned supreme over the mainstream music market via music channels like the now-defunct MTV and Channel V, and when an uncompromising underground music scene was not being very welcome, and radio was in a state of formulaic retardation, Greyhoundz – which was then-comprised of guitarists Audie Avenido and Allen Cudal, bassist Niño Avenido, drummer TJ Brillantes and a then-bashful, almost reserved Reg Rubio – charged the gates and came-out swinging with a handful of original songs, an uncompromising sound and musical style, and an unapologetic passion to chase their dreams despite the odds. Shows at formative clubs around metropolitan Manila were solid proof of the band’s power to gather the next generation of disenfranchised youths and music fans, and though they were dismissed by some of their peers and pundits as a young band riding the nu metal trend, there was no denying them of the fruits of their labor any further: they were about to explode, and at the 1999 NU107 Rock Awards (then-considered as the holy-grail and barometer of approval from industry insiders and legit rock fans…), they did just that on nationwide television and radio and opened the show. In many ways, that would be the pivotal moment when local rock music would see a more modern twist, and though the band left empty-handed that year – despite being nominated in almost all the categories – they remained unfazed and opened the floodgates for contemporaries like Cheese and Slapshock, as they were all signed to different major labels (earning their collective an unofficial moniker of “the big 3” of local hard rock/heavy metal. 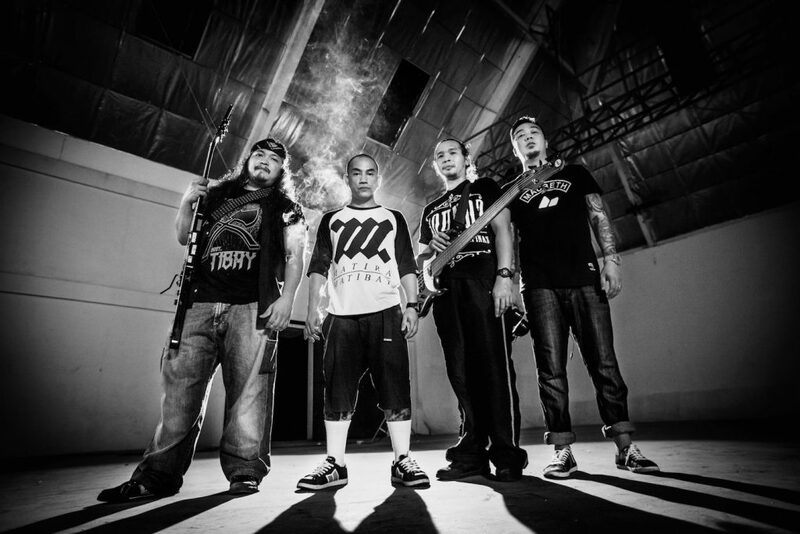 After a furious touring schedule and many highly publicized appearances at the country’s largest shows, including Red Horse Beer’s Muziklaban annual tour/band competition, the annual PULP Summer Slam (where they would play alongside legends in the game like thrash metal giants Death Angel, Lamb of God, Megadeth, Anthrax, Arch Enemy, Killswitch Engage, Shadows Fall and Periphery, just to name a few…), Tribal Gear’s Dutdutan Tattoo Festival, one thing became apparent: it was NOT a big show unless the Greyhoundz were there, and even the mainstream music circle took notice, as their music and no-holds-barred attitude led to collaborations with Regine Velasquez, Gloc 9 and appearances on international releases, like the Original Motion Picture soundtracks of Hollywood flicks Spiderman (which featured tracks from Macy Gray, The Strokes and Aerosmith…), The Ring and the Stone comic book OST. The band would continue to come-out swinging every year that passed, and even though they were put through the proverbial ringer many times early-on in their career (both from outside factors, and battling the personal demons every young band thrust into success has to deal with…) they persevered. 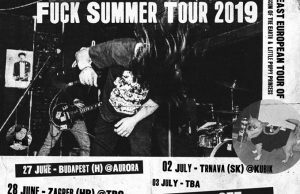 Even through the band’s biggest blow, the passing if their original guitarist Cudal in 2004, they did not falter in their step and traded even more blows with fate. 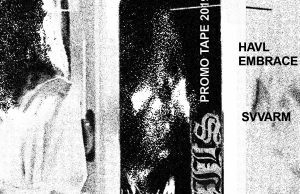 Though it would take four years before the band could come up with another album (7 Corners of Your Game was released in 1999, and the self-titled follow-up was released in 2001 under the Sony major label…), it was 2005’s incendiary Apoy that would carry another slew of anthems for the years to come, and would find the band busier than ever with their nationwide tours and appearances. As if to continue the tradition, they produced their independent album Execution Style (distributed by MCA Music…) in no time by 2009, and rediscovered – yet again – a fire under their collective and played to their live strengths in the studio. 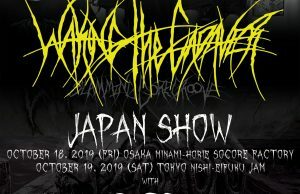 Fittingly, a few years later, their hard work would pay-off in spades as they embarked tours in newer territories outside the Philippines: including dates in Singapore, the United States (in 2013, alongside modern rock contemporaries Typecast…) and more recently, Dubai in the Middle East, which has seen them come full-circle with their comrades in Queso and Slapshock. Of course, you’d think all of that would be more than a fair share of business and that the band would already have its plate full, but through the recent years, members of Greyhoundz have kept themselves even busier than ever, with its members establishing their very own Greyhoundzgang exclusive apparel, and the Medisina clothing brand – which is a joint venture between Rubio, Brillantes and Tuts Calinawan of Queso- and putting together their own events under the Barangay Tibay production moniker (which in this day and age, commands an average crowd of thousands each time: a feat seemingly impossible when compared to other production and events groups…) and lead singer Rubio also doubles as a radio host for local station Jam 88.3, for an all-metal program Balian Ng Leeg which supports the local metal scene through airplay and events. Loyal fans and local music enthusiasts can only guess what bigger surprises are in-store as the Greyhoundz’ are inching-towards their second decade in the music scene. 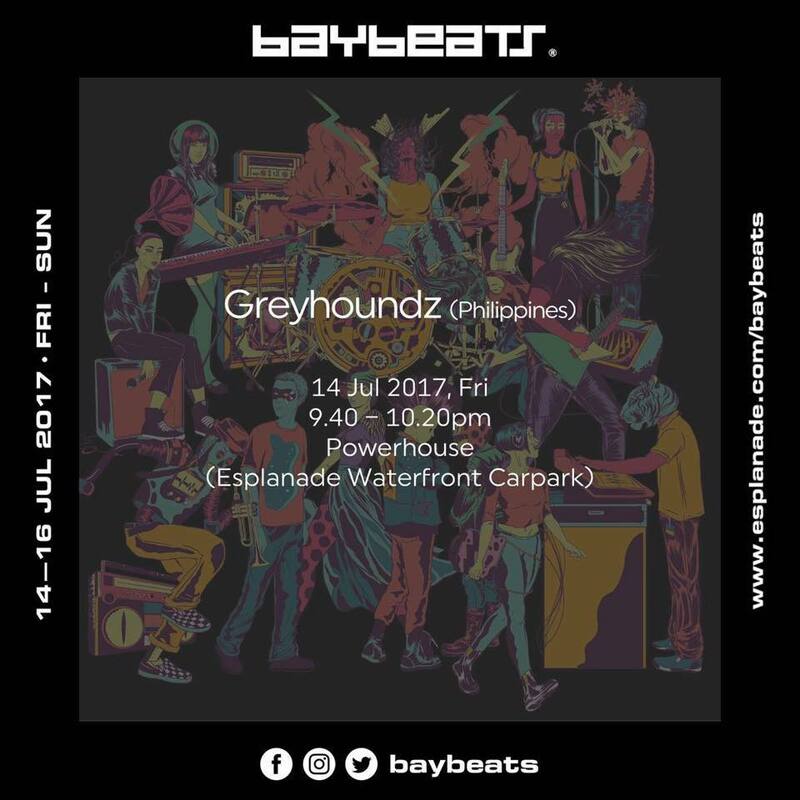 *Catch Greyhoundz coming Friday, July 14th, 2017, as they are part of this year’s three-day celebration of the Baybeats Music Festival in Singapore. Slotted at a 9:40pm performance, they will be performing at the Powerhouse venue, located at the Esplanade Waterfront Carpark. Interested parties can click on: https://www.esplanade.com/festivals-and-series/baybeats/2017 for more details and information about the show.